To receive a free, no-obligation copy of our corporate catalog. Just fill out this short form. A link to download the complete, printable catalog in PDF format will be emailed to you at the email address provided. Please avoid using free email accounts like Hotmail and Yahoo. If you don’t see the catalog link email within a few minutes, check your spam folder. To receive a free, no-obligation copy of our equipment catalog. Just fill out this short form. A link to download the complete, printable catalog in PDF format will be emailed to you at the email address provided. Please avoid using free email accounts like Hotmail and Yahoo. 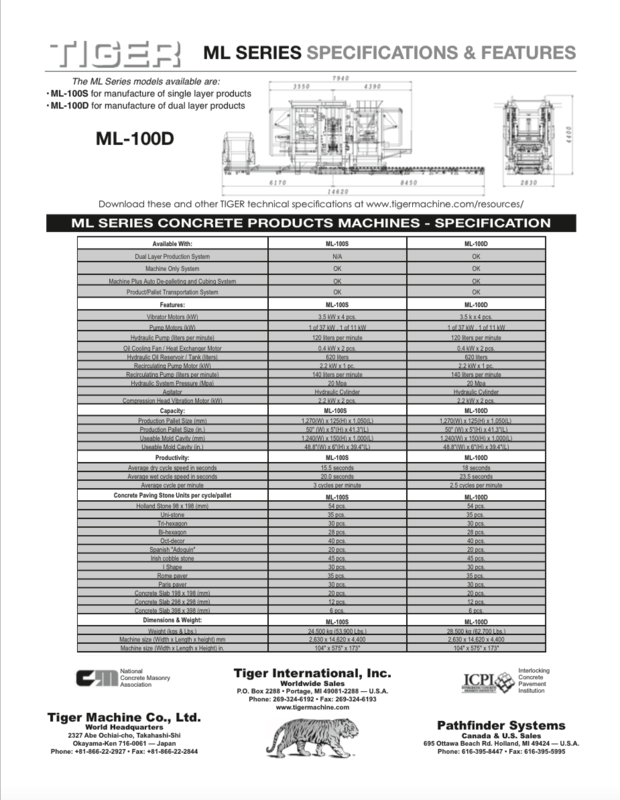 To receive a free, no-obligation complete set of our equipment technical specification sheets, including our concrete products machines, just fill out this short form. A link to download the complete, printable set in PDF format will be emailed to you at the email address provided. Please avoid using free email accounts like Hotmail and Yahoo.